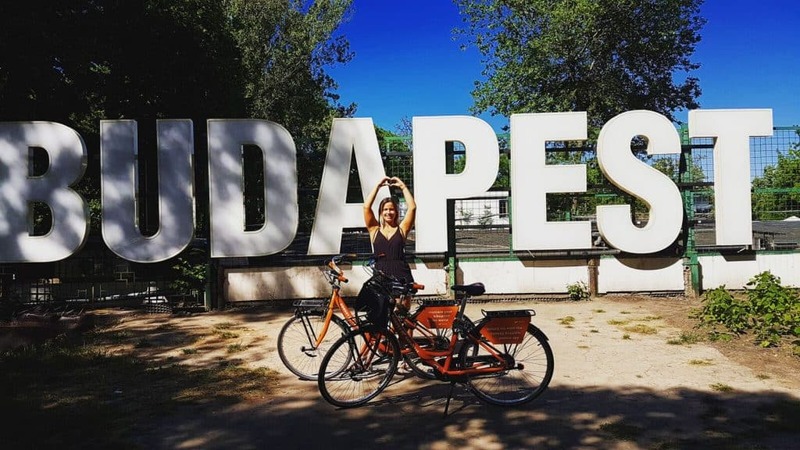 This is a guest post by Alexandra, from MyCityHighlight, showing you the best way to explore Budapest on two wheels. 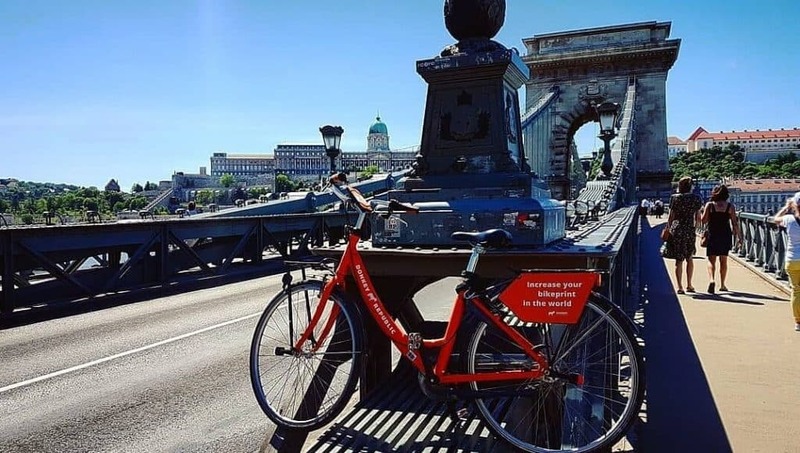 Even though Budapest has a well-functioning public transport system, the city is getting really crowded and it can get a little uncomfortable to travel on the vehicles, so I was really happy to hear that from this year MyCityHighlight is cooperating with Donkey Republic Bike Rental. 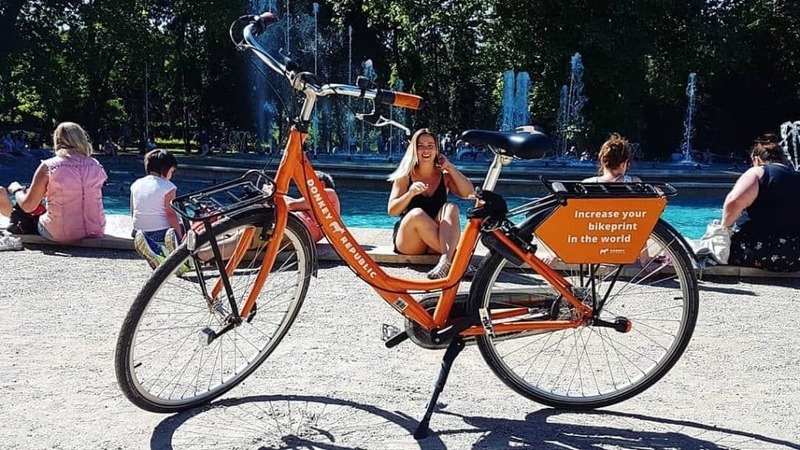 Budapest continuously improves in making cycling easier as part of its sustainable city development, it is a cost-efficient and a health-conscious choice. 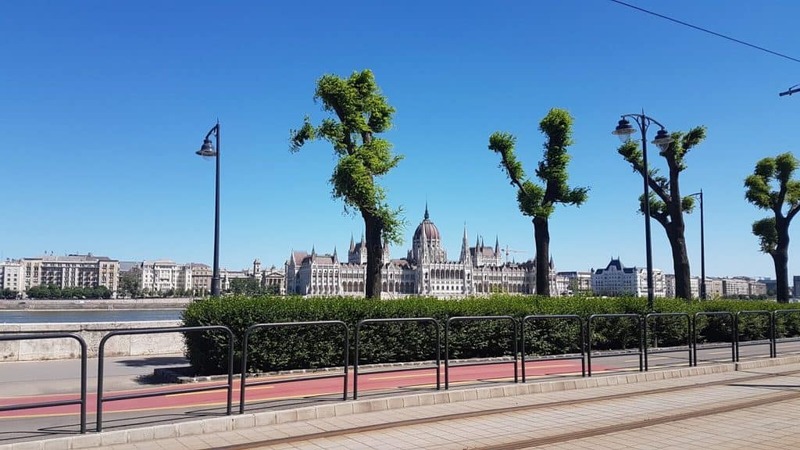 My name is Alexandra your local guide at MyCityHighlight Budapest, and I would like to share with you my first time doing sightseeing on two wheels through my city. Since I was born I have been living in the suburbs of the city hence I was always exploring the city by public transport and by foot. The best thing about renting a bike in Budapest was the joy of cycling in different parts of the city, discovering places I have never seen before, and reaching one point after the other very fast while being able to take in all the beauty Budapest has to offer. We started our journey on Madách square which is 2-minute walk from the main square Deák Ferenc tér. 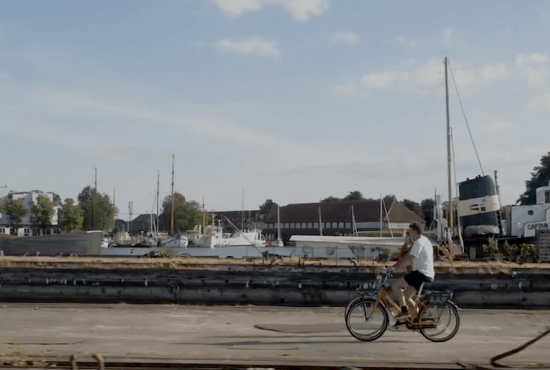 It was super easy to get the bikes, I just downloaded the Donkey Republic App, quickly created a profile, chose to rent 2 bikes for 1 day and they immediately got unlocked. We decided to head straight to the Buda side and we chose the Chain Bridge which is the oldest in Budapest to cross the river Danube. Getting close to the river you can already have a glimpse of the Buda Castle that is located on the left side of the bridge. 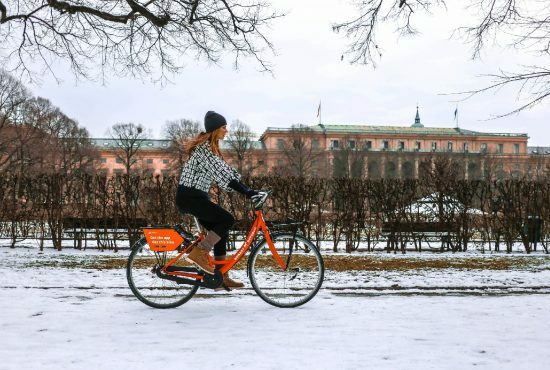 what is also great about Donkey Bikes is that you can lock them as many times as you want during your rental, so you never have to worry about finding a docking station to return it while you are visiting a sight. You can do this with one click in the Donkey Republic app. From here we decided to go to the Fisherman’s Bastion that offers a spectacular view over the city. The beautiful and unique Matthias church is also located there, and you can attend the local masses. Since the weather was nice we had no doubt with my friend that we have to visit Margaret Island. Only public transport and cars with a permit are allowed in there so we could use the Donkey Bikes on the whole island. First, we stopped at the fountain that was playing three popular songs meanwhile the water was “dancing”. Then we continued our way to the wild Zoo which is one of the best things on the island, most of the animals can come and go as they please. You can see rabbits, chickens, ducks, and peacocks, storks that are breeding on nests, pony horses and dears all for free in nature. Almost at the other end of the island, you can find the Japanese garden that is a great place to just chill at and on the way we also saw the ruins of Franciscan Monastery. After riding in the city all day we started to get hungry and we both agreed that the street food & beer garden would be a nice ending to this lovely day. 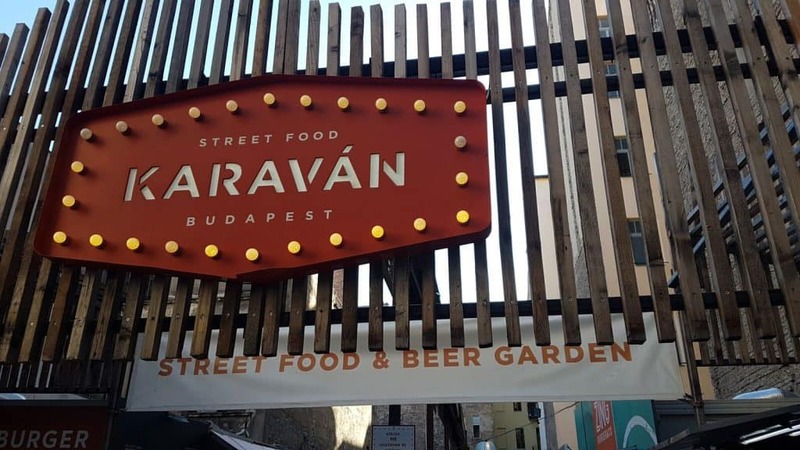 So we went to Karaván Budapest located in Kazinczy street and it was really hard to choose what to eat from the many options. There is local food, Mexican food, Italian kitchen, cheese heaven real burgers, Lángos, Zing burger, Las Vegan’s offering vegan foods, Samurice with vegan and meaty sushiburgers, for dessert chimney cake or waffles and a bar with cold beer. After almost getting full we still desired something sweet but cold in this hot, so we went to Fragola to eat one of the most delicious ice-creams in the city (the nutella flavor is my favourite so far). We chose the one located on Károly krt. between Astoria and Deák Ferenc tér, so after finishing the ice-cream we could just drop the bikes. Returning the bikes was as smooth as renting them, we took them to the same spot where we started our day and then just clicked on end rental in the app. We totally loved this day and the Donkey Bikes were such great tools, making this experience special. 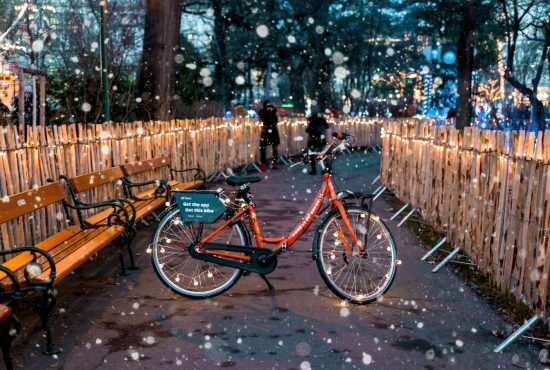 As a local citizen, I highly recommend you to take one of the bikes and explore the city with the help of the free MyCityhighlight Budapest app, where you can find my local tips and hints about what to see, what to do, which events to visit and what is worth going to. Have fun in Budapest and if you have any questions you can always find me in the app’s forum.